More than 20 bands will play in the two-day music festival in Riverside Park. Gates open at 4 p.m. and close at 11 p.m. Friday. Gates open at 11 a.m. and close at 11 p.m. Saturday. Proceeds will benefit Ypsilanti parks and economic development. Sep. 2, 2009 · 11:09 a.m. Anyone cringing at the thought of cooking barbeque for their army of a family this holiday weekend now has a better option. 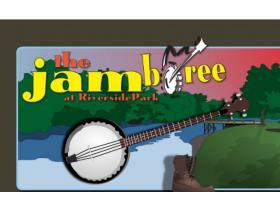 Pack up the mini-van, bring the kids - if you want - and come rock out at The Jamboree. On Sept. 4 and 5, more than 20 bands will share two stages in Ypsilanti’s Riverside Park. This family friendly music festival will highlight Bluegrass, Roots, Americana and other Regional Acts. While there are many music festivals in the summer, this is the first fall music festival that Ypsilanti has seen in a while. Donald Sicheneder, who’s been in Ypsilanti for 15 years wanted desperately to change this. In February, Sicheneder came up with the idea of putting a fall music festival together when friend Eric Dotzauer, director of the Depot Town Community Development Corporation, was brainstorming ideas on what festival it could put together for the organization. Shortly after Sicheneder mentioned it, the DTCDC helped him put together a business plan, presented it to the board and they were green lighted to go ahead with the planning. Getting the talent was rather a breeze as well. Since Sicheneder is a part of Dragon Wagon, a blue grass band out of Ann Arbor, it wasn’t very hard for him to line up 25 bands to play at the festival. “It’s such a great network of musicians here and the majority of them are great friends of the band.” Sicheneder said. “Anytime you [put on] a festival there are many arms to it and you bring in the right people to handle certain sections of the festival." Matt “tuna” Altruda, the manager of Ann Arbor’s The Macpodz did the booking for the show. Along with a booking a lot of local talent, Alturda crossed state lines to book a one man band that Sicheneder wants everyone to check out. “That 1 Guy,” Sicheneder said. “He’s a bass virtuoso. Another band that will be performing on one of the two stages at Riversaide Park is the Afternoon Round. This pop rock band will rock out for an hour, playing songs off of their newly-released CD, which they plan to sell at the festival. Rick Coughlin, who plays lead guitar and lends his pipes for back up vocals, heard about the new fall festival and was really excited when he was asked to be apart of the line up. Coughlin, who lives in Ypsilanti, said he missed festivals that younger guests came to and thinks The Jamboree is a great idea. While guests are listing to the music, they can also grab a beer from the beer tent that will have tap from Ypsilanti’s Corner Brewery and Frog Island Brewery. The Ypsilanti Food Co-op will be serving fresh pretzel sticks with homemade beer mustard, fruit as well as Mocha cookies and Triple Chip Blondie brownie made at the River Street Bakery. If you bring your young ones out, take them over to the kid’s tent, sponsored by Ypsilanti’s Community Records Foundation. Whatever you decided to do at the Jamboree, Sicheneder just wants everyone to have a great time. “We’ve worked really hard on this and put an amazing event together,” Sicheneder said. “We want people to come out and witness it. “We hope to bring it for more years to come and we hope that everyone comes out and spend some time with us,” he said. Gates open up at 4 p.m. on Friday and close at 11 p.m. On Saturday, gates open at 11 a.m. and close at 11 p.m. It costs $15 at the gate on Friday and $20 on Saturday. Proceeds will benefit Ypsilanti parks and economic development. Visit the-jamboree.com for more information about the event.